So would they get it right this time around? I mean, I’ve seen a few Godzilla movies (but usually with theater seats across the bottom of the screen) and I grew up with the old Godzilla cartoon (“Up from the depths, thirty stories high…”). And I watched as Matthew Broderick’s version basically eviscerated the concept. So what would happen? Well, I’m pleased to report, this one was pretty good. I left the theater feeling pretty satisfied. So let’s talk plot, which feels like an odd thing to say. I mean, it’s a kaiju movie. Plot? Really? Really. It turns out that about fifteen years ago, a team of scientists found a sort of cave/tomb for some sort of massive monster. They discovered two eggs or something similar in the cave, but one of them had hatched and left the nest. Shortly thereafter, American engineer Joe Brody (played by Bryan Cranston) is faced with something of a crisis. He works at a Japanese nuclear power plant and there are odd seismic tremors rocking the facility. This leads to an eventual full-on containment breach, one that winds up killing his wife. Joe is left only with his unfortunately named son, Ford. Fifteen years later, Ford is an EOD specialist in the military (the Navy, I think, but the branches of the military are basically interchangeable in this movie) and his dad has gone nuts. Joe wants to track down the truth about what happened at the power plant. He wants to know why his wife had to die..
Well, it turns out that the disaster was caused by an ancient monster, a big one that feeds on radiation. And it’s about to break loose. Even worse, the presence of this monster has attracted the attention of an apex predator, one that has been given a very familiar name. Pretty soon, these monsters will be locked in mortal combat, one that rages across the Pacific and into California. So, for the most part, the plot was pretty good. The performances of Bryan Cranston, Aaron Taylor-Johnson, and Elizabeth Olsen were great. The emotional resonance of the storytelling was good as well. There were a few leaps of logic that caused me to roll my eyes. For example, one Japanese expert on these monsters seemed to have an inherent knowledge that Godzilla was a “good guy,” even though he had absolutely no empirical evidence to support that assertion. And there were a few times when the coincidences in the story were a bit much. Ford and the kaiju crossed paths a bit too often throughout the movie. But I know, you don’t go to these sorts of movies for the emotions or the logic. You go to watch the monsters fight. And for the most part, the brawling was fun. What surprised me was how little of it there was. More surprising, I guess, was that I wasn’t really disappointed with how little there was. Sure, a little more would have been fun. But it wasn’t like I left the theater angry. 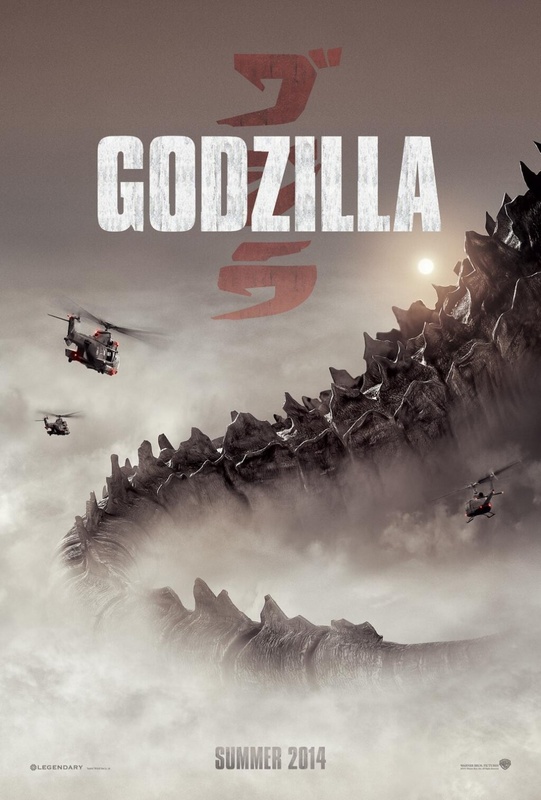 The fight scenes were excellent and included everything you’d expect in a Godzilla movie (although I was getting worried about one thing in particular. Thankfully, my worries were needless). I just kind of wish that there were more of them, that’s all. So all in all, this was a fun romp and definitely worth it. I even saw it in 3D and that made it more fun. If you have a soft spot for Godzilla, you’ll definitely want to check it out. Caught the late showing of Godzilla last night with a buddy of mine. Your evaluation here is pretty spot on, in my opinion. There were times when I felt like the movie was more about what was happening around the monsters – which is not what I paid $10 to see – but it came back around at the right times. Was that an MST3K reference?! Why, yes. Yes, it was. I’m a MSTie from way back. How great. Have you seen any of the newer Rifftrax work? The Rifftrax for Twilight is too funny. That is the only time I will ever make a Twilight recommendation.